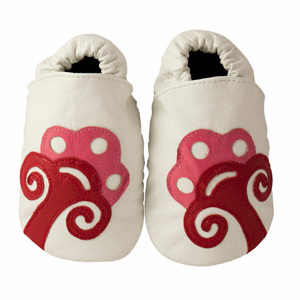 Stand out in the crown in these soft soled leather white beautiful booms baby shoes for girls. 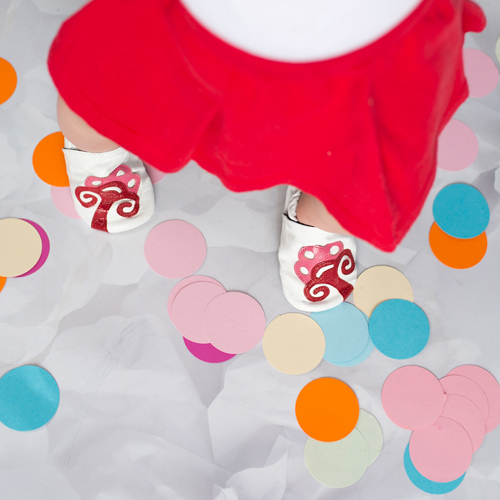 The red and pink featured in these shoes is shiny patent leather. 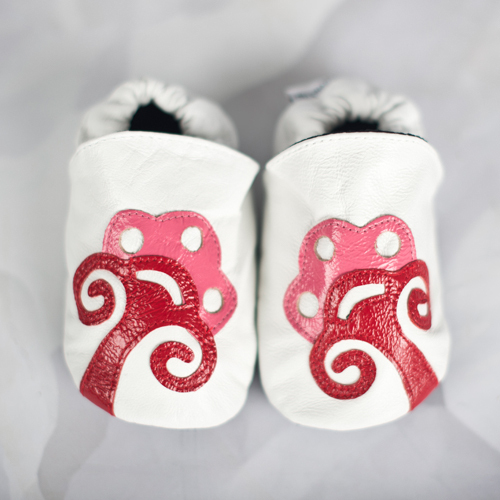 Gorgeous baby shoes!